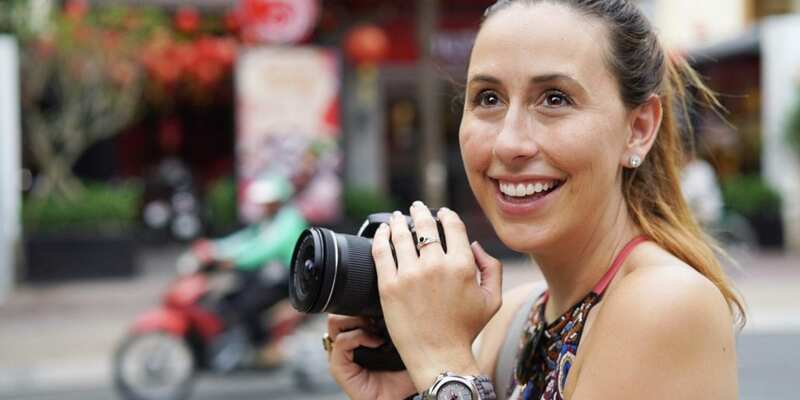 Valerie Joy Wilson is Trusted Travel Girl: a seasoned explorer and passionate blogger with a wealth of fail-safe tips and tricks for elevating your next journey. Following an arduous battle with illness, Wilson eagerly pursued her enduring dream of seeing the world. “Remembering to live,” as she puts it, especially in health, Wilson has since cultivated her own band of loyal followers as the Trusted Travel Girl. 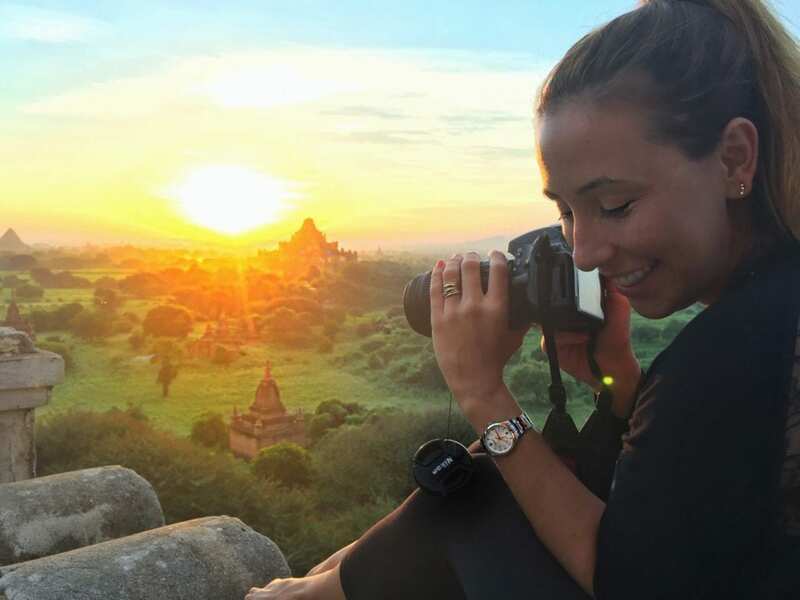 With a focus on solo travel and a penchant for discovering the hidden corners of each place she visits, Wilson speaks to Unearth Women about how to make the most of your future expeditions. Valerie Wilson (VW): I was in school and took a semester off to go to LA. When I came back, I got really sick. Nobody knew what was wrong with me for about a year and a half, but it turned out I had contracted Lyme disease. With this disease, my brain function was low, I suffered from short-term memory loss, I had trouble retaining information, reading, and writing. When I was finally diagnosed, I had a permanent IV put in my arm and was prescribed to antibiotics long-term. When I started to feel better, I tried to go back to school a couple times and by my third try, it stuck. It was then that I felt the greatest urgency to travel because everybody kept saying, “You’ll relapse! Everyone who has Lyme relapses, and when you do, it’s going to be worse.” I became so worried that I would never see any of the places I had dreamt of visiting. When I realized I was getting better, I began to travel any chance I got. I went to Italy. I went to Turkey for two and a half days on fall break. I began scouring the internet for deals and ways to traveling affordably. I became addicted to travel. When I graduated and started working, I found myself miserable in my job. I had always promised myself that when I got better I would remember to live, so I started my website and decided to write about what I know and soon people began to follow it. I hustled for a while—I had side jobs like giving LA-based tours in an effort to put the cash towards my travel fund. I did anything to keep my schedule flexible enough to grow Trusted Travel Girl. UW: TALK TO US ABOUT YOUR MOTTO TO “TRAVEL LIKE A LOCAL.” WHAT DOES THAT MEAN TO YOU? VW: I learned to stop waiting for people to travel with me, mainly because I was always worried that I would soon become too sick to function again. So I’d travel alone, and when you travel alone, you’re able to immerse yourself in a culture so much easier. When you’re with someone else you’re just focused on each other. When you’re alone, you have to look outside of yourself to make connections with people. For me, it started with sitting at bars and restaurants and asking bartenders or servers where they hang out. I was curious. That turned into another addiction for me. I’m unsatisfied if I feel like I’m on the tourist path. UW: WHAT ARE SOME TIPS YOU HAVE FOR SUCCESSFULLY TRAVELING LIKE A LOCAL? VW: Go down the side streets and the alleyways. You don’t have to leave the city—you can be right next to a main tourist attraction—but just veer off by a couple of streets. Find where the tourists aren’t walking and where the locals hang out. I’ve made friends with people all over the world that way. When I was in Cuba, I was having dinner at a restaurant on a farm. I left the table, walked down a path and started talking to a farmer. I don’t speak Spanish and he spoke no English, but we still managed to communicate. He took me to a hut, rolled a Cuban cigar and gave it to me. That’s the kind of experience you don’t get otherwise. Make the effort to connect with people. That’s the heart and soul of travel, and when you’re able to connect, that’s when borders are broken and your world changes. You develop tolerance and more humanity. UW: WHY ARE SOLO TRAVEL EXPEDITIONS SO REWARDING? VW: They allow for those off-the-beaten-path moments. Often times—when traveling in a group—you’ll find that other people don’t have the same goals as you. With solo travel, you have the ability to do what you want, and doors open for what I call those “magic moments.” You don’t have to adhere to anyone else’s schedule. When you don’t plan, that’s when the magic happens. You meet people you would have otherwise never met. You have time to explore. In Myanmar, I had people take me to their homes to cook traditional food and to a market that I would have never otherwise found. You get a real sense of community, which doesn’t generally happen when you’re with other people. 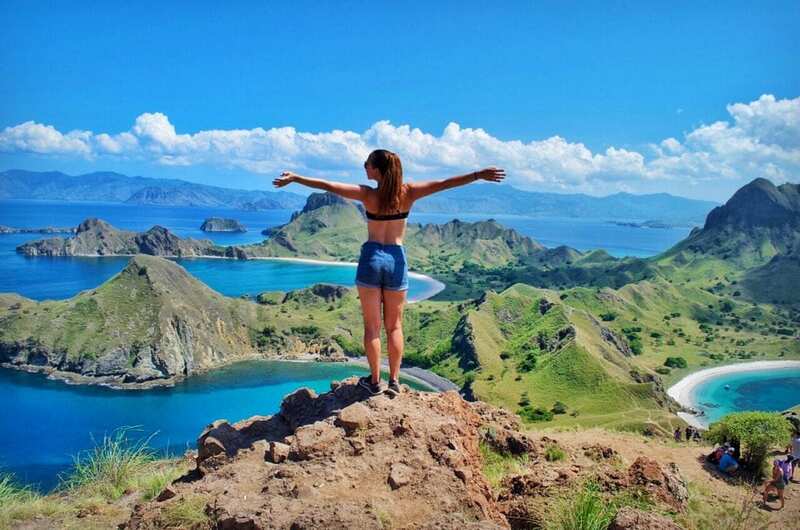 UW: WHAT ARE SOME OF THE CHALLENGES YOU’VE FACED AS A SOLO FEMALE TRAVELER? VW: Certain places lend themselves to solo travel more than others. There’s a greater risk in some parts of the world, and you tend to feel a more constant sense of nervousness. You just have to protect yourself and keep your guard up. Solo travel can also be a little bit lonely and give you too much time to think. But you can set yourself up for success. Look out for problems before they happen. For example, I had my appendix taken out in Switzerland last year. I was alone, but my travel insurance took care of me like a family member or a significant other would have. My other piece of advice is to have patience. When you’re traveling on your own you have to be on all the time and it can be exhausting. You’re the person in charge of the map, you’re in charge of everything. You can never take a backseat. So practice patience. If you’re a woman traveling alone in particular, be on guard. Pay attention to who you talk to. If I approach someone I’m less wary, but if someone approaches me (especially a man), I make sure I never tell them I’m alone. Let them think that someone is expecting you to be somewhere. Act confident even when you’re not. When I went to Turkey, my cab driver asked if I had been there before. I told him I go every couple weeks for work. I had never been there in my life, but it was safer than revealing too much of my actual situation. UW: WHAT DESTINATIONS DO YOU RECOMMEND FOR FIRST TIME SOLO TRAVELERS? 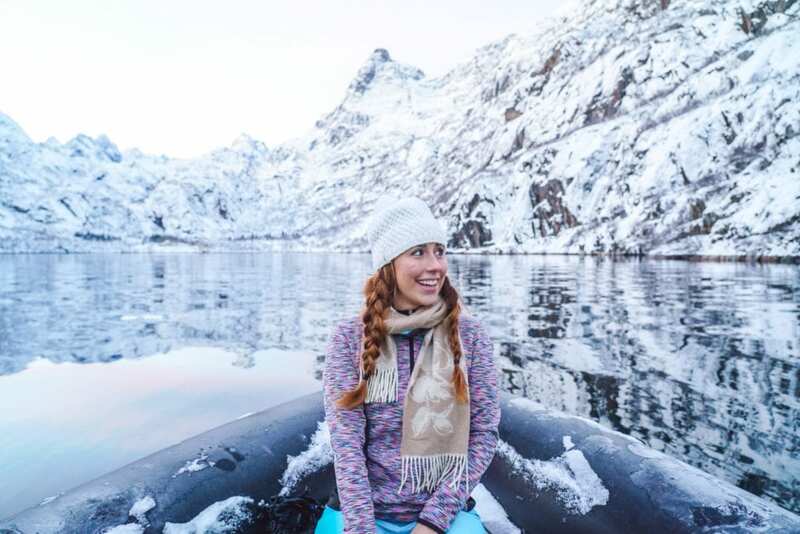 VW: I just got back from Norway, and what I really liked was how safe it felt. As soon as I got there it felt like a place that I would recommend to anyone who has never left the country by themselves before. Everyone speaks perfect English, everyone is extremely kind, willing to go the extra mile to make sure you’re happy, everyone is friendly. Plus it’s gorgeous so there is lots to do, and there are lots of other solo travelers around. Places like Thailand and Cambodia attract lots of backpackers, so it’s easy to network. Even if you don’t want to stay in a hostel, lots of them have bars and you can meet other solo travelers that way. You can easily buddy up with people and get the lay of the land. Another wading pool for me is New York City. People are so busy that they don’t note that you’re alone. So it’s a good stepping stone. UW: WHAT’S BEEN ONE OF YOUR MOST TRANSFORMATIVE TRIPS? VW: I went through a breakup right before I went back to school and I wanted to get as far away as possible. Eat Pray Love the movie had just come out, and I thought, “I’m just gonna get away!” So I went to Italy, Greece, and Egypt. In the midst of the trip there was a big uprising in Egypt. I specifically turned the news off before I left because I wasn’t going to let myself worry, and I was still to new travel. Eventually I looked up what was going on. There was a demonstration in Tahrir Square, and it was getting really big. 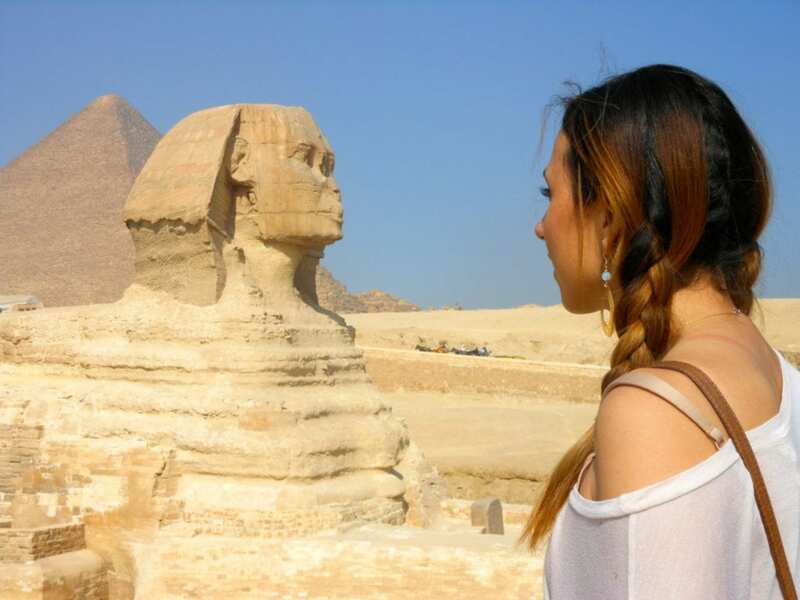 I was going to Egypt the next day and I got nervous. I tried to cancel with the airline and I couldn’t, so I decided I was going anyway. That was the first time I realized people are not their government. What I was seeing on TV was not what was actually happening. It was the first time I realized that news is a form of entertainment. I realized that our government and our news outlets can make us fearful of other nations. After that, I wasn’t scared to visit other places. That was a big moment for me to realize how impactful travel can be as a tool to bring our world together. It tears down boundaries and preconceived notions. UW: WHAT’S ONE THING YOU NEVER TRAVEL WITHOUT? VW: My Bose noise canceling headphones! Before that though, it would be travel insurance. It’s more important than anything. I had used it for phones that were broken and stolen, missing luggage—it protects you for little things, which is why I initially had it. But when you realize that you have a $20,000 medical bill without travel insurance, you see how important it is. When I had my appendix removed in Switzerland, I used Travel Guard. They paid for the ambulance that got me to the hospital, they got me back to my hotel, and compensated me for all the extra days I had to spend there because I couldn’t fly. They had a car service bring me to the airport, sent for wheelchair assistance, and flew me back business class because the doctor didn’t want me sitting in economy for 16 hours. If I had broken every bone in my body and needed someone to assist me home, they would have paid for that as well. As a solo traveler, it’s crucial to have them in your corner. They don’t pay me or anything by the way—but I’m their biggest advocate. 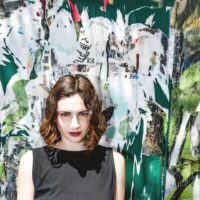 UW: ANY TIPS FOR SURVIVING LONG-HAUL FLIGHTS, ESPECIALLY WHEN YOU’RE TRAVELING ALONE? VW: Pack your own amenity kit, bring a neck pillow, and secure a window seat. If you’re on an overnight flight, sleeping is crucial. If you have a window seat, no one can wake you up to go to the bathroom. I try not to drink too much when I’m flying, but I’d rather be the person waking someone else up once to use the bathroom than be the person being woken up every hour to let someone through. Bring some form of entertainment, a power bank, and water. UW: ANY BUCKET LIST LOCATIONS THAT YOU’RE EAGER TO CHECK OFF? VW: I haven’t done India yet. You need at least two weeks to see it, it’s such a big and incredible country. I also want to go back to Turkey. I only went to Istanbul for two days all those years ago. It’s such a rich culture and it’s so different from the United States. Istanbul is such a mix of Eastern and Western culture—you can literally drive across a bridge from Europe to Asia!